AddTransit’s online ticket reservation system is focussed on the public transport, transit and travel based tourism industries. The web based ticket reservation software provides a 24 x 7 customer sales channel allowing you to serve your passengers whenever and wherever it best suits them. So how does it work? Let’s use the example of a bus company, but it could easily be a ferry, plane, train or travel tourism/sightseeing provider. Firstly, the bus company adds their routes and schedule. Then the company adds their fares. Finally the company adds any restrictions such as vehicle capacity and preferred number of tickets for online versus offline sales. Then the company chooses how they’d like to receive fare payments and their preferred frequency of payment. Of course, terms & conditions, customer service contact details, and exceptions/alterations handling can be entered too! AddTransit automatically generates a small snippet of code to include in the companies website and the company is ready to start making sales. Tickets can be sold from the bus company’s website, through the AddTransit apps or you can even upgrade to a branded ticketing app. Customers can then make reservations and purchase tickets online. 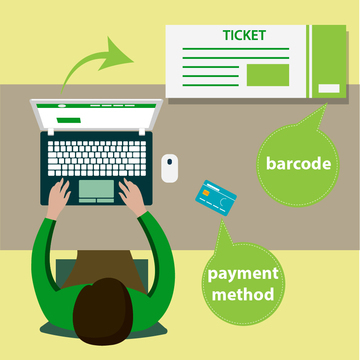 A ticket is emailed to the purchaser with the option to print the ticket, if the customer so chooses. The ticket includes a bar code to make it easily scannable by the AddTransit ticket management app. The cost of the AddTransit service is borne by the customer through an additional service fee at time of purchase. Reporting is available on the website. Passenger manifests are also available within the AddTransit ticket management app. Customers can also manage their tickets and update selected details online. If you’d like to know more our online ticket reservation system, please contact us today.